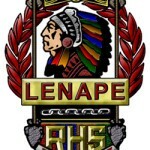 Practice is keeping the Lenape Regional High School District prepared when it comes to school security. At last night’s Board of Education meeting, district Security and Emergency Management Coordinator Jim Kehoe reviewed the district’s security procedures. He gave a detailed description of each of the five emergency procedures used by the schools, including shelter in place, lockdowns, evacuations, bomb threats and fire drills. Under state law, each school is required to do one fire drill and one of the four security drills per month. Superintendent Carol Birnbohm said the security drills are just as important as fire drills. “We’re getting the kids familiar with the other terminology just as much as they are familiar with the fire drill,” she said. The drills have allowed the district to make improvements to security. Kehoe said a number of problems had been exposed in past years during drills. Some of the changes in security include the automatic locking of classroom doors when they are closed and amber lights around all employee entrances to keep people from entering a building during an emergency. One of the ways the district is able to test its security is through unannounced drills. Kehoe said these are not required, but the district has found them to be useful when evaluating its security protocol. “We do unannounced drills because it gives off more of a real feel,” he said. The drills are not just for the students. The teachers and staff are also tested on how they respond to specific situations. Kehoe said teachers receive training on all security procedures during an orientation when they are first hired. “All new teachers have 60 days to complete the training,” he said. The district makes sure its staff is also up to speed. Drills are reviewed during teacher in-service days. All teachers and staff review a book with every detail of what their responsibilities are during one of the emergency situations. Substitute teachers go through the same training. The school district has been able to put some of its measures to practice. The district’s emergency notification system sends email text notifications to communicate potentially dangerous situations to parents. Kehoe said one of the issues today has been kids going to social media and releasing information prematurely. The notification system allows the schools to act quicker than ever before. While the district has made large improvements in security, Kehoe said it will continue to evaluate drill performance and make additional improvements in the future.